Happy Wednesday, everyone! How is your September so far? School just started and there is not much work to do. But I am sure there will be much more work load very soon! There is not much I wish for the new start of school though. All I wish was I could keep my GPA the same as the last semester. Of course it would be the best if it can even be a bit higher than the last semester! If you are still studying, I hope you the best as well! Back to the look, this look is the combination of grey and khaki! In my opinion, I feel like every guy should own a pair of khaki shorts! It is because it can definitely make you look a lot younger haha! 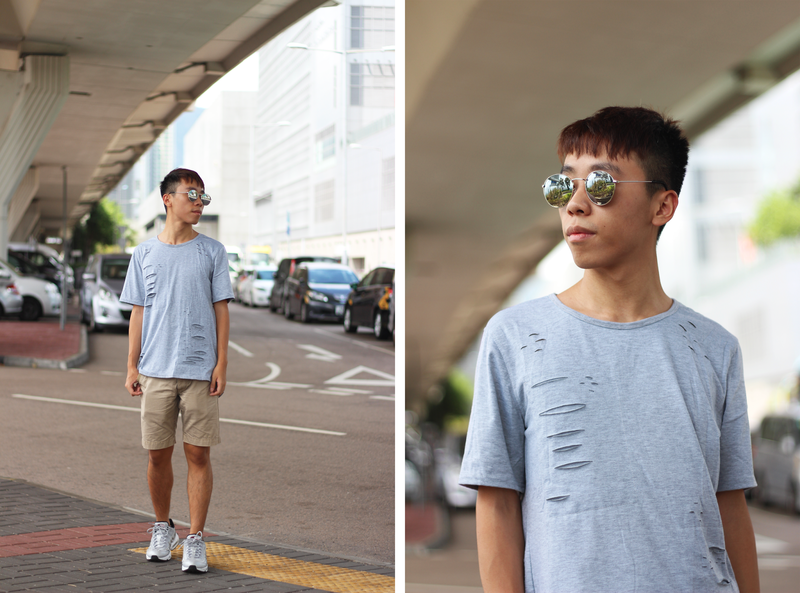 Since Khaki goes with a lot of colours, I chose to style this shorts with grey top and sneakers! What do you think about this look? Let me know on the comment section! You look great in this casual outfit. I always love when a shirt has rips as part of the details. Loving this outfit! Loving the rips in that T. Looks super comfortable! Have an awesome back to school week! Great photos! I love the ripped effect on your shirt. Love the shirt & good luck for the semester! Love this back to school look! Super cool look! Love this tee! 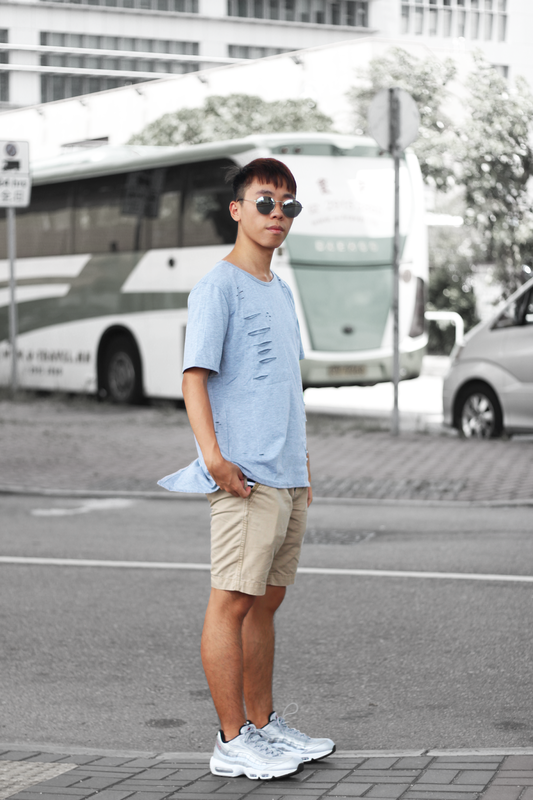 Great casual outfit, love the sneakers! Cool and smart look for a great back to school!